Morphology, the study of the form or shape of an organism. Works which concentrate on the specific structural features, aspects of the outward appearance of humans and animals. 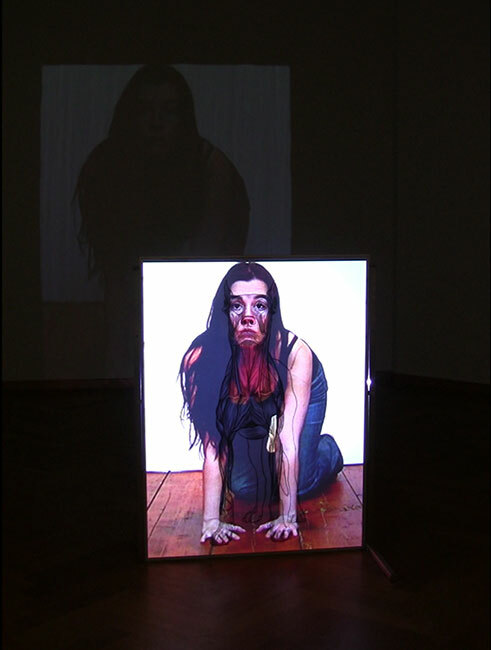 The work of Maes consists mainly of video installations, works composed layer upon layer; video images projected on top of another image. 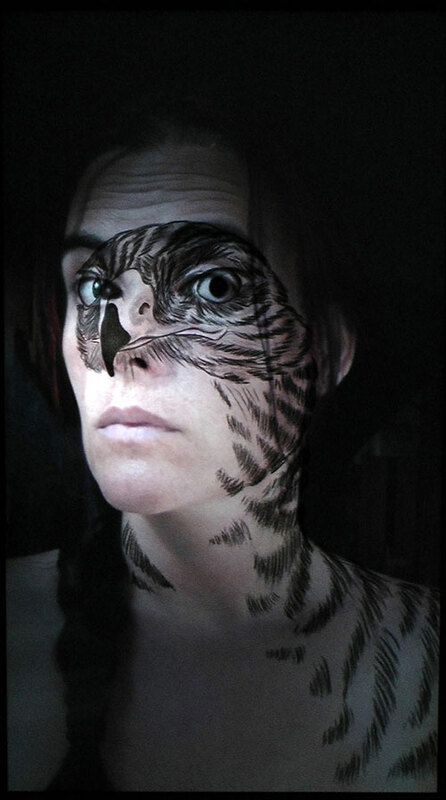 Usually a moving self-portrait that coincides with the image it is projected on. This image could be a drawing, a painting. 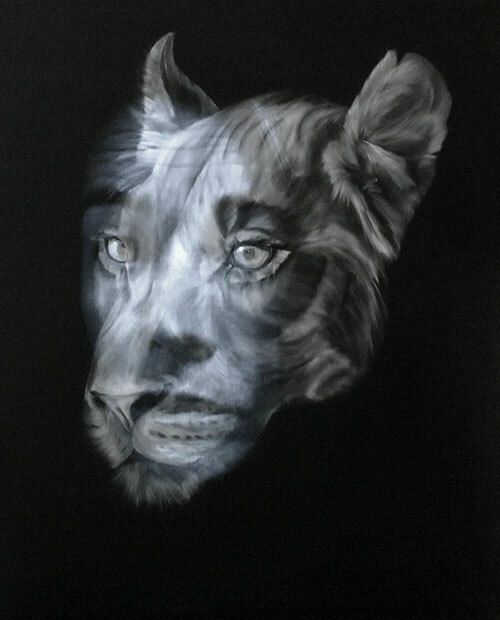 In these video projections the person tries to fit in, looking for the differences but also looking for the similarities between humans and animals. 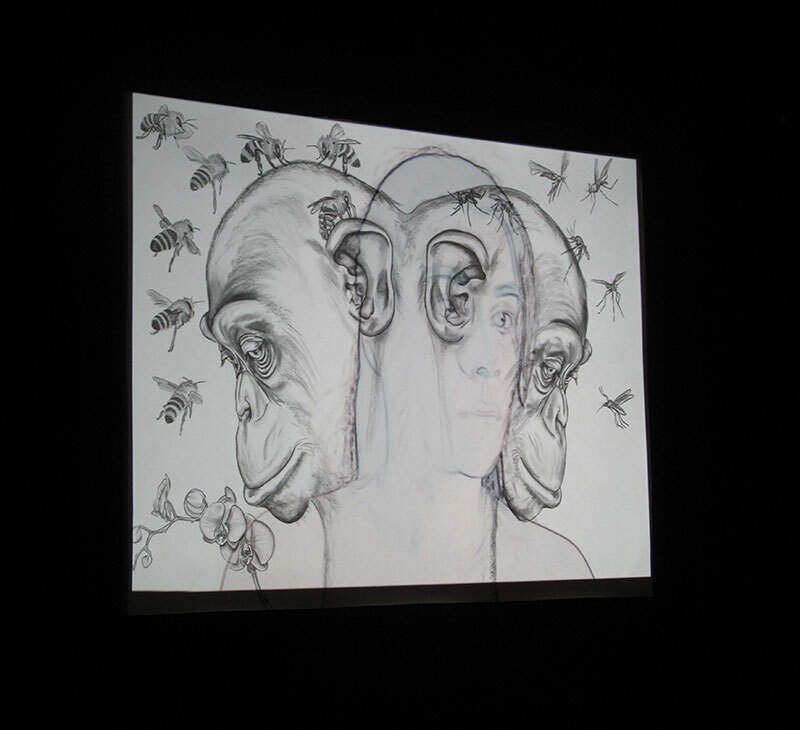 Different species are blended together, it refers to the ‘transformations of being’ and the search for identity. The works are an artistic research on the connection of humanity and the natural world around us. 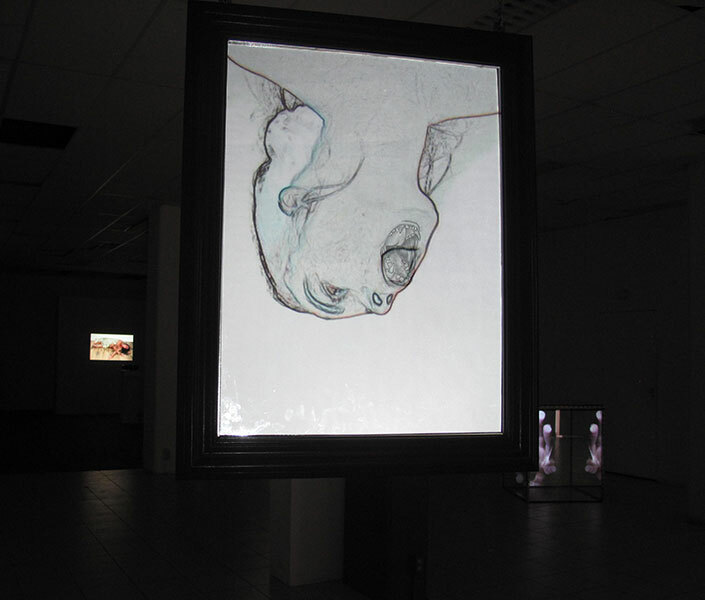 Some of the drawings are made on a PVC foil, stretched in a metal frame. 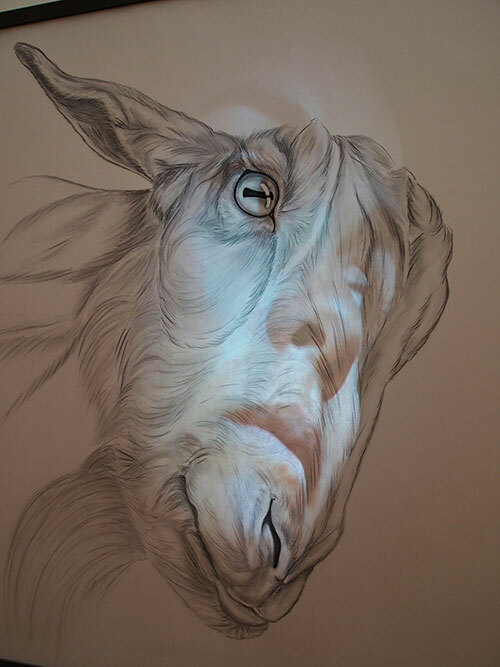 This foil is milky white, and if projected on with a beamer, the projection is visible on two sides. This way you can walk around it and they become spatial works.